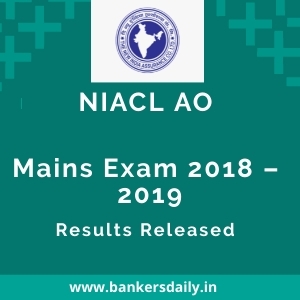 Since the Number of aspirants appearing for this RRB NTPC 2019 will be humongous, we suggest the candidates to start their preparation little earlier to make it easier. We have been providing Quality content for FREE in our Race YouTube Channel which has a total of 1,70,000 Subscribers (and counting) who follow our Video classes regularly. The Classes will be handled by Expert Staffs who have proven track of records for producing some of the efficient officers in the SSC Circle. We have planned the same to enrich the aspirants who wish to crack the Railways Exams. All the videos will be available at the above said dates from 25th March, 2019 at a certain interval. (i.e) One video/ Day. The Videos will be available @ 6:00 P.M Daily. 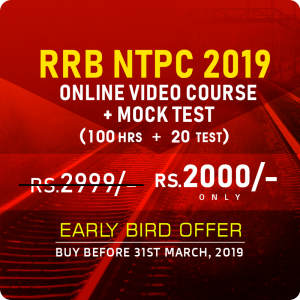 Since this is the first time Bankersdaily along with Race Institute (Parent Firm of Bankersdaily) introducing the ONLINE VIDEO COURSE for the RRB NTPC Exams, we are to provide an inaugural offer for the candidates preparing for RRB NTPC 2019. 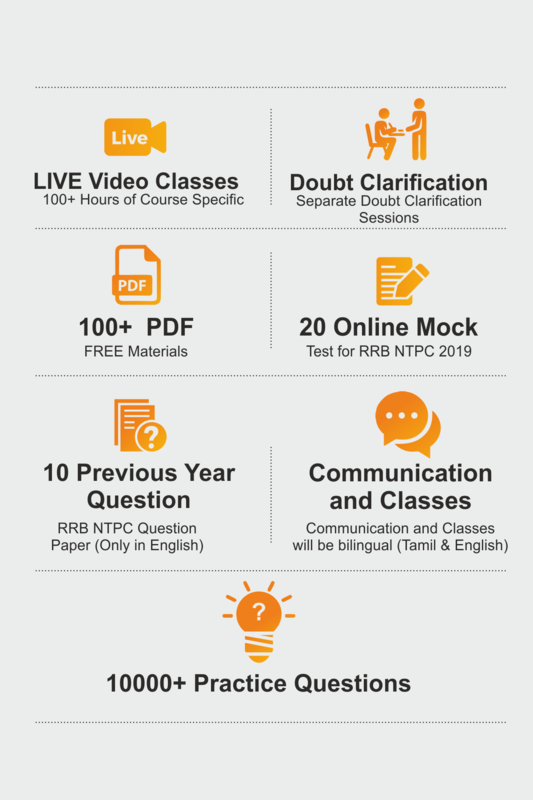 Read the FAQ’s regarding the RRB NTPC 2019 – Online Video Course & 20 Online Mock Test Series from the link that is provided below. when will be the class starts? We have clearly mentioned as Rs.2000/-. 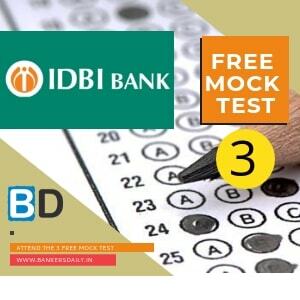 Is the RRB NTPC Mock tests available at free of cost for Race students? From when its available? Please note that, this Video Course available in Bankersdialy will be available for purchase only. If you are a Race Student (SSC), you can attend the Offline Course @ Race. If you are a Banking (or) TNPSC Student then you will not be able to attend the RRB Course. For Video Course, if you are a Race Student/Non Race Student, All should buy the Video Course, if aspirant needs to study from it.